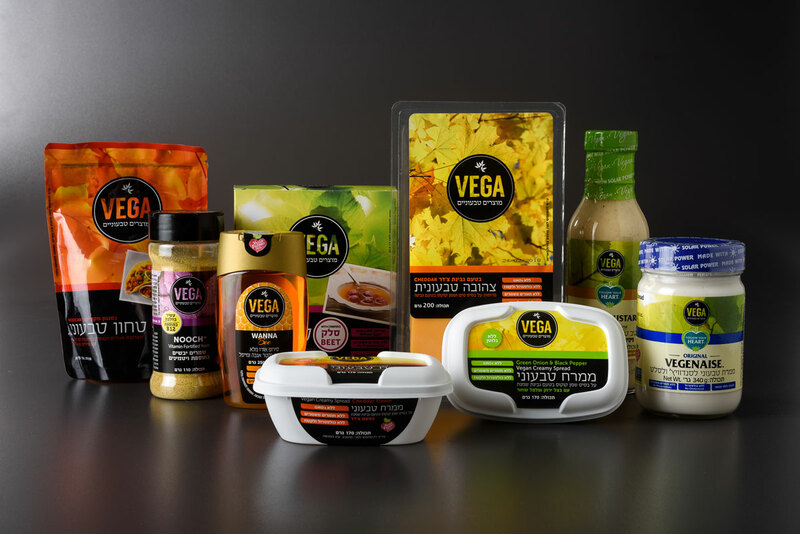 The VEGA Vegan Products brand was founded by a group of people who have been in the organic products business for many years. 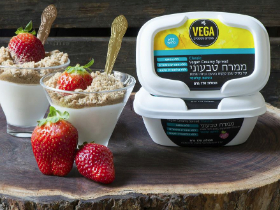 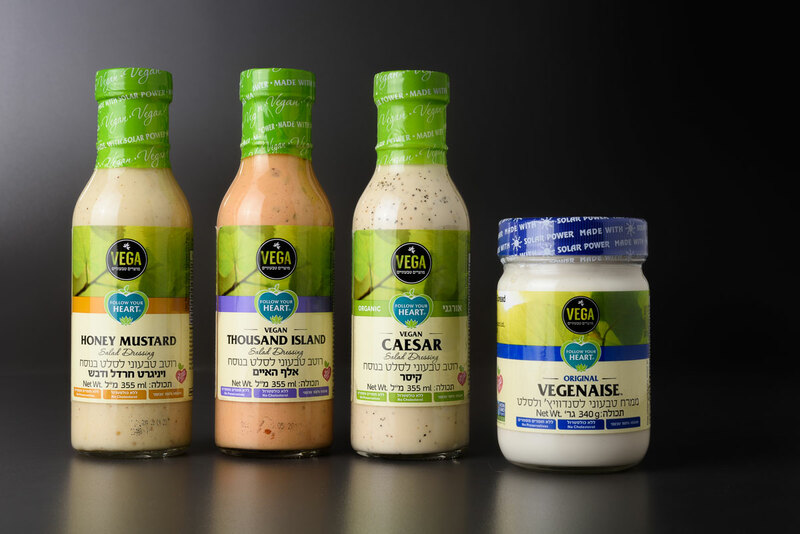 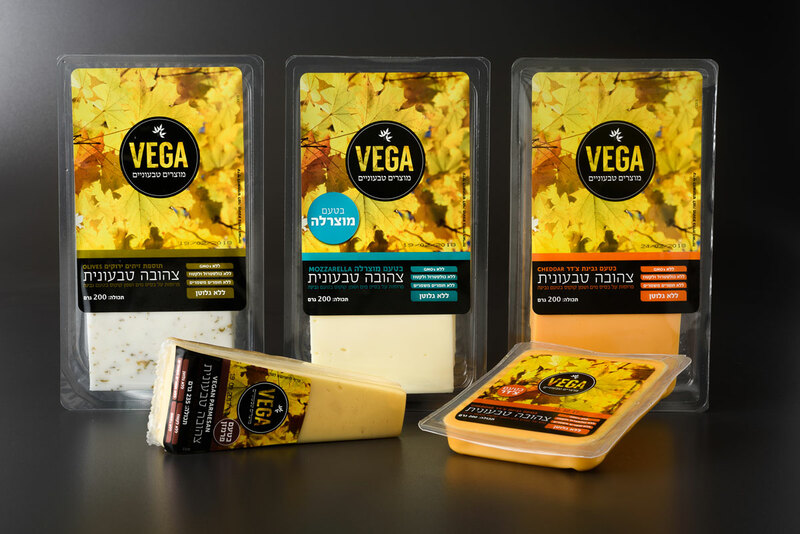 Over time, a few became vegan which brought them to the realization that there was a serious need in the rapidly-growing Israeli vegan market for good-quality products that could help people transition to plant-based diets. 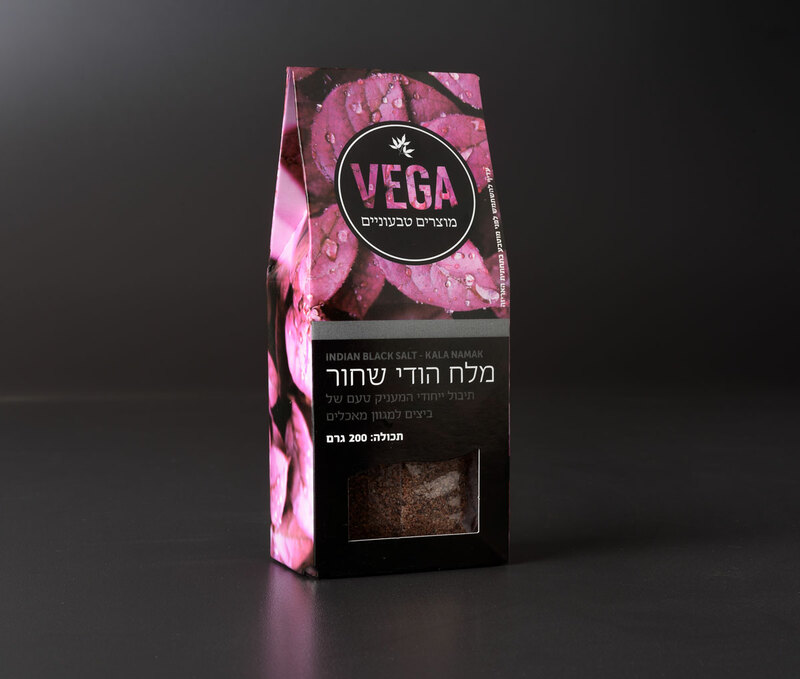 Because of their organic background, the team decided that all VEGA products would be clean. 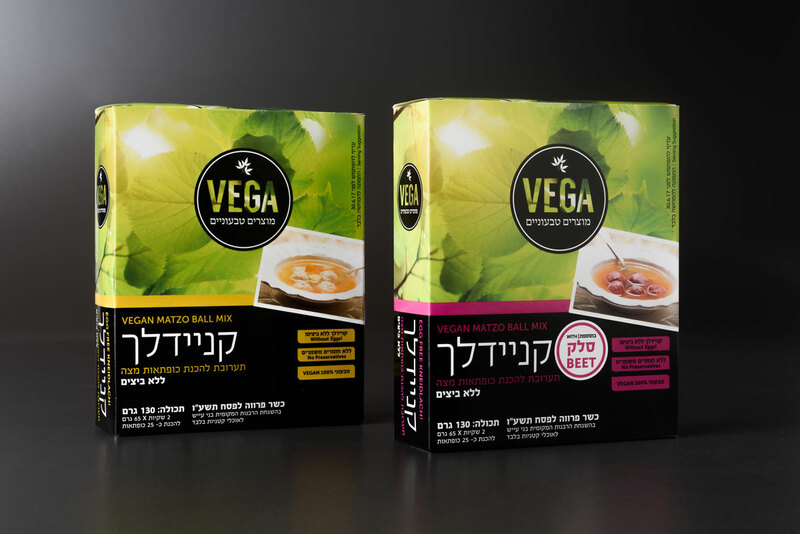 No preservatives, no food coloring, no genetically modified ingredients, no artificial anything. 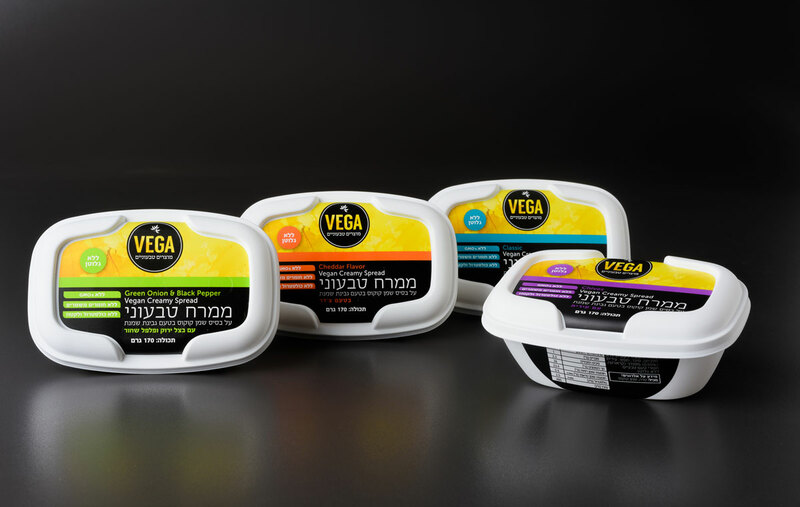 Consumers would know where the products came from and what they were made of. 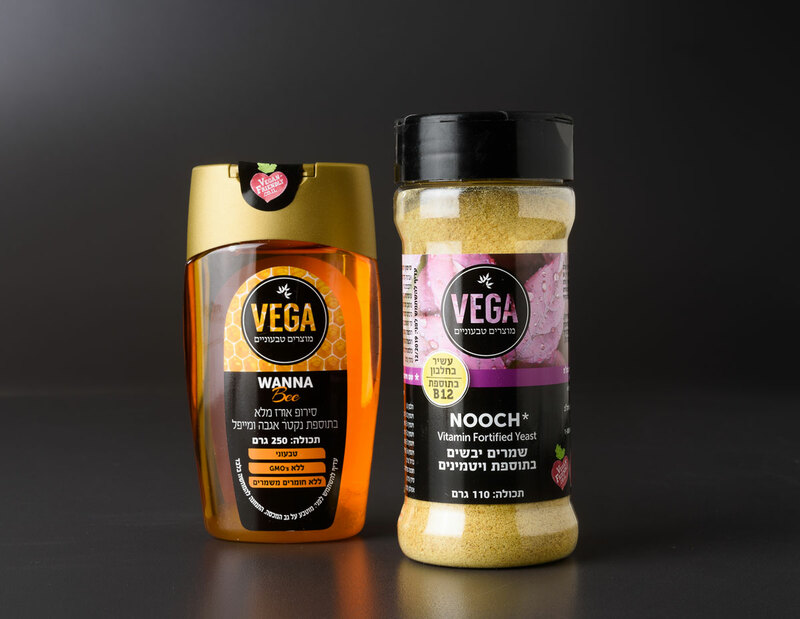 The VEGA logo is a typographic "mask" through which the background of any product is visible, representing the core value behind the brand philosophy: "Transparency". 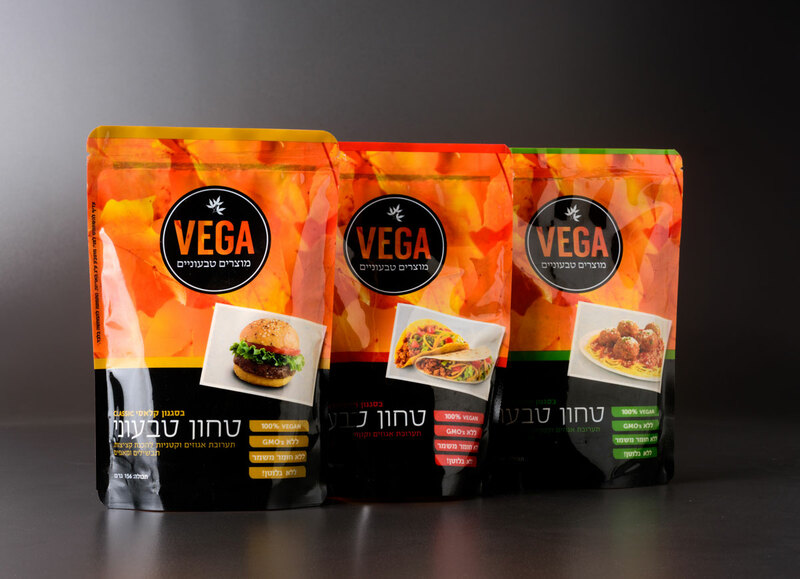 The packages and labels all use a rigid graphics standard guideline resulting in a highly visible and memorable brand.